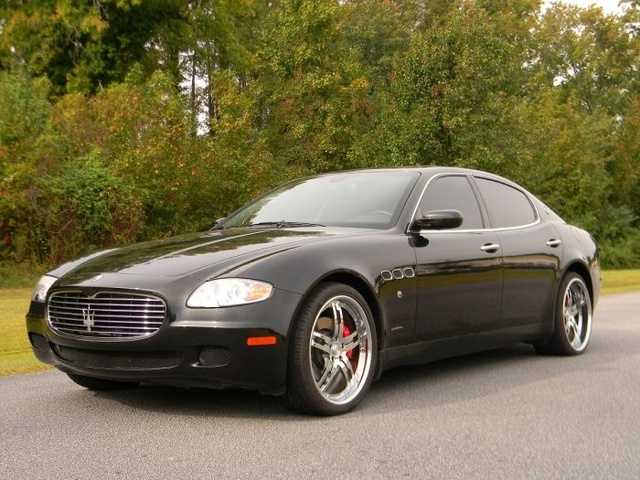 CarGurus has 1,044 nationwide Quattroporte listings starting at $10,500. The 2012 Maserati Quattroporte is the Italian carmaker’s 5-passenger, 4-door sedan (the name literally means “four doors”). The rear-wheel drive luxury car enters its final year of production with virtually no changes inside or out. A pair of trims are available for the rear-wheel-drive 2012 Maserati Quattroporte: S and Sport GT S. Each gets a 4.7-liter DOHC V8 engine paired with a 6-speed ZF automatic transmission with overdrive that achieves 361 lb-ft of torque. 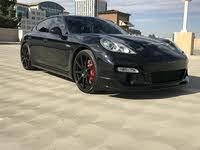 The S trim’s engine reaches 425 hp, and the Sport GT S trim’s engine maxes out at 433 hp. Each runs on premium gasoline and is rated by the EPA to get 12 mpg city/19 highway. Standard features for both 2012 Maserati Quattroporte trims include first-row regular express open/close sliding and tilting glass sunroof, dual-zone automatic air conditioning, rear air conditioning with separate controls, cruise control, power windows, power 2-stage door locks, remote keyless entry, heated power remote auto-dimming exterior mirrors, power steering, tilt-and-telescopic steering column, leather-wrapped steering wheel with mounted audio and cruise controls, leather-wrapped gear shift knob, heated and cooled 8-way power adjustable driver's and passenger front seats with driver’s lumbar support, auto-dimming rear-view mirror, 11-speaker Bose premium audio system with AM/FM/single-CD player and amplifier, Bluetooth HandsFree system capability, voice-activated navigation system, variable intermittent rain-sensing front windshield wipers, rear window defogger, bi-xenon HID headlights with headlight washer and 19- or 20-inch aluminum alloy wheels with performance tires. Although its emphasis is on luxury, the 2012 Maserati Quattroporte has several safety and security features as well. Standard safety features include 6 airbags (frontal driver and passenger airbags, side-impact airbags and cabin-length side-curtain airbags), as well as a tire pressure monitoring system, 4-wheel antilock disc brakes, driveline traction control, front fog lights, daytime running lights, panic alarm, content theft deterrent alarm system and ignition disable system. Wheel choices for the 2012 Maserati Quattroporte include 19-inch Ball polished aluminum alloy, 19-inch Executive Silver aluminum alloy, 19-inch V-Style aluminum alloy, 20-inch 7-spoke aluminum alloy, and 20-inch Multitrident Silver aluminum alloy. The brake calipers can be colored to match some of the body colors as well. In spite of 2012 being the final year before Maserati rolls out a replacement at the luxury sedan level, the Quattroporte still has much to recommend it. Although extremely pricey (though about on par with competition such as the Mercedes S-Class and Porsche Panamera), all of the bells and whistles come standard for the price. 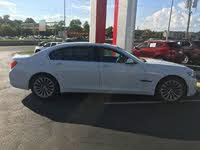 The car offers top-notch performance and handling, according to both current owners and professional reviewers, and represents its brand well. What's your take on the 2012 Maserati Quattroporte? Have you driven a 2012 Maserati Quattroporte? Why Has My Car Disappeared On The Listings? 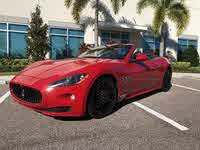 My 2012 Maserati Quatroporte is not showing up on the listings? Wondered why I have not been getting any calls?